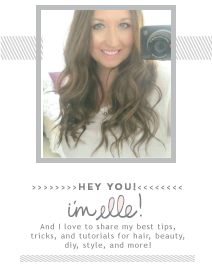 Elle Sees|| Beauty Blogger in Atlanta: Sephora Sale Shopping List: Last Minute Ideas! 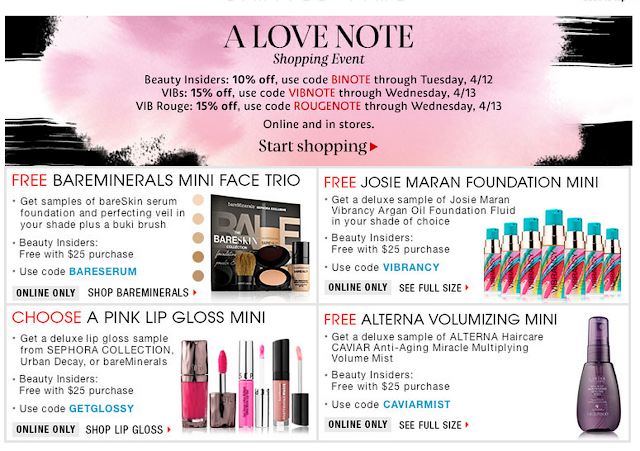 Sephora Sale Shopping List: Last Minute Ideas! Yes! Today is the last day for beauty Insiders and tomorrow is the last day to use discount codes for VIB and VIB Rouge. Let's be honest--going to Sephora or even visiting Sephora online can be overwhelming. There's SO much stuff. What to get? No worries! 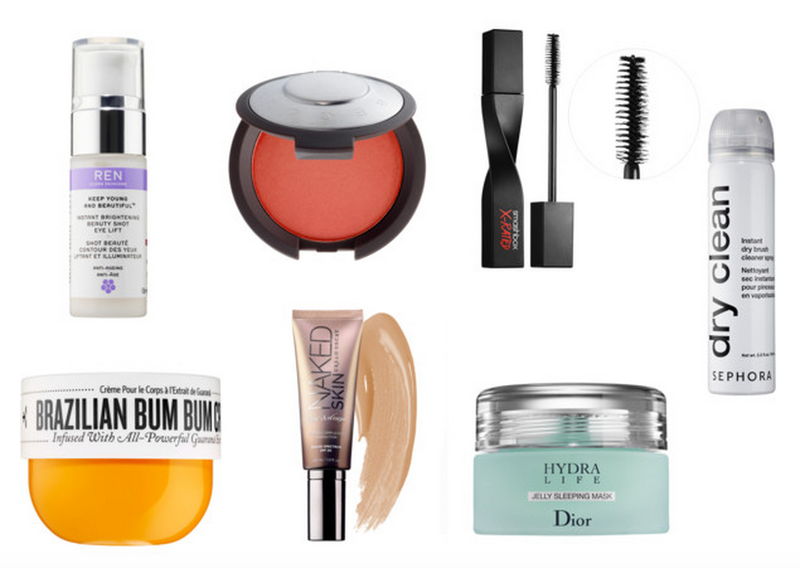 I've rounded up some of my faves below--I have tried all of these, so they work! Not picking up anything this go around? Save this post for the next time. Get your shopping list ready! Check out more NEW at Sephora items here. Peter Thomas Roth Mask-a-Holic Sets--The full sizes are expensive. I like being able to try these out! BONUS: Pretty much any of the value sets are really good. Belif The True Cream--One of the best moisturizers I've used for night time. Tria Eye Wrinkle Eraser--I'm testing this out right now! Three weeks in and it works. Post coming soon. Updates on my Facebook. Use code ellesees for 15% off! I could go on and on! What did you pick up? What items caught your eye? --Last week my blog hit 8 million all-time views! 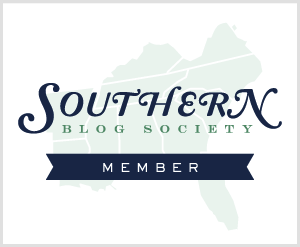 Thank you for making my blog a tiny part of your day! --Charlie, my dog, turns 6 today! Actually, he's a rescue, so I usually pick a random day in April to celebrate! Ah, you just reminded me that I need a new Clarisonic brush! Well that and everything else on your list! That brazillion bum looks so good! Brazilian Bum-Bum made me smile ear to ear. :) What a lovely name and gorgeous jar! I must have missed the review - if you did post about it, could you share a link? It's definitely time to stock up! Thanks for sharing your favorites! 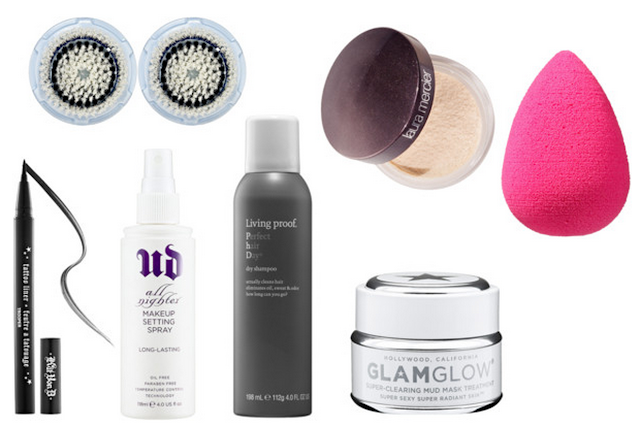 I need to add that Glam Glow mask to my cart! Happy Birthday to Charlie! I wasn't going to participate in the sale, but I might go pick up some hand cream as gifts! The BECCA Blush, Laura Mercier Illuminator, and Kat Von D Liner made my list of must-buys too! Glad you posted this! I needed a few more ideas! I JUST returned a foundation that didn't work for me. I've been wanting one of the Luna's for awhile. My cleansing brush has seen better days. (; Have you tried one? I need new clarisonic brushes and I've been holding off, because they are not cheap! Thanks for this post today! I only purchased two products; Becca Backlight Primer Filter and Hourglass Veil Mineral primer travel size. I'm trying to cut down my makeup stash so I'm not picking up anything unnecessary. Where was this post before hit buy on my cart ;) Love some of these and I will remember some new ones for next time. Happy Birthday Charlie! So many great picks! 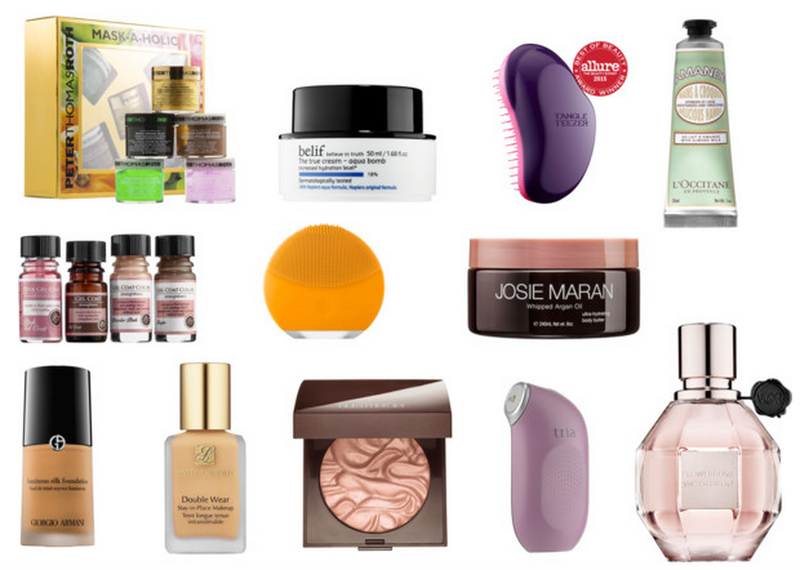 I have the Beautyblender on my wish list and now I want the Tria eye cream! Oh my!!!! This is so amazing... I need a bunch of things from spear... and have been wanting to try that josie maran foundation for so long ! That's so awesome your blog hit 8 million views? Congrats Elle! These are all great items to get at the Sephora sale, that becca blush looks gorgeous! Sadly I skipped the sale this year and placed a colourpop order instead lol! Happy Birthday, Charlie!!! Mac will be 6 this year too :) I love the Tangle Teezer!!! It is the best thing ever for my tangly hair after showers. YOu have so many of my favorite things on this list! I need to try the Living Proof Dry Shampoo. My order is mia, so I think I'm going to have to place another one and want to add so many more things! that belif moisturizer IS the best! I love the Extra Elle's from today. Happy Birthday to Charlie and congrats on all those views. You are more than deserving! I'm only a beauty insider so I got the 10% off coupon. I was debating on whether or not to use it, but I decided not to. There are lots of things I want at Colour Pop right now so I decided to get more bang for my buck there. After much deliberation, I placed my VIB order yesterday and I reordered the Belif cream for my mom. She loves it! Congrats on 8 million views, that is amazing! I probably won't make the Sephora sale this time, but I have been wanting to try a beauty blender. And some L'Occitane hand cream sounds fantastic too! You have so many great products listed above. I decided to skip out on the sephora coupon since I just used the Ulta one. I love the UD setting sprays and I need to pick up one of those Becca Blushes! The VIB sale seriously might be the death of me, but it really is the perfect time to stalk up on things that I need and want, of course. I'm trying out the Kat Von D eyeliner for the first time, and I also got those Becca blushes. I can't wait to try all of my goodies when they come in the mail tomorrow! This sale is so dangerous! So many things I want to try! Congrats on the 8 million views! Thats seriously amazing! I got some estee lauder pure color envy lipsticks can't wait! Those tips do come in handy! 8 million views, wow! I love your suggestions, Elle! I've been using that Smashbox mascara, and it's really good! I finally got some Sunday Riley items with my coupon. Can't wait to try them! I use the belif Moisturizing Bomb and it's amazing, I'll probably try the True Cream for the evening when I've used up the rest of my current moisturizer!